(PhysOrg.com) -- A computer scientist in France has broken all previous records for calculating Pi, using only a personal computer. The previous record was approximately 2.6 trillion digits, but the new record, set by Fabrice Bellard, now stands at almost 2.7 trillion decimal places. Pi is the value of the ratio of the circumference of a circle to its diameter, and has been of interest to mathematicians for hundreds of years, since Sir Isaac Newton developed formulae to extend the number of decimal places. Bellard's computer cost less than €2000 (roughly $2870 US) and ran Linux's Red Hat Fedora operating system. It had a Core i7CPU at 2.93 GHz, and had 6 GB of RAM and 7.5 TB of disk storage space in five 1.5 TB hard disks. He wrote all the required software. 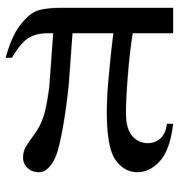 The world record for memorizing and reciting Pi was set in 2005 by a Chinese graduate student, Lu Chao, who spent a year learning 100,000 digits and was able to recite Pi to the 67,890th decimal place before he made an error. The feat took just over 24 hours. Reciting Bellard's result of 27 trillion digits would take over 1,284,000 years at the Guinness Book of Records' required rate of one digit every 15 seconds. M Bellard is perhaps best known as the writer of the open source project FFmpeg and processor emulator QEMU. He said he has no immediate plans to calculate Pi to further digits in the future, but may do, depending on his motivation and the availability of larger and faster storage. He intends to release open-source versions of his software for Linux and Windows to enable anyone who is interested in furthering the calculation to beat him to it. What is the life cycle of salmonella enteritidis like in the internal organs? if he wrote it using fedora... probably python. ... and seems to prefer C programming in general. He did this on one computer and the algorithm produced an arbitrarily long float. besides the fac that the data structure is HUGE ... the memory management to make it effecient is most easily done in a low level language like C or C++, granted python is C based I think it is clumsy, like using a chainsaw when you need a scapel. You can do it but its almost easier in C.
- I am biased - I work as a C programmer. Lots of people have heard about Fortran frajo, but arbitrary precision arithmetic requires handling raw memory storage and bit twiddling. A language like Fortran is quite constrained in this respect, and doesn't offer any advantages to compensate. I think that there are really only 3 choices, assembler, C, or C++. For a specialized application of this sort, I would probably attempt to use a nvidia type DSP graphics card for the heavy duty computational load, programming that part in DSP microcode( assembler). High end graphics cards offer (by far), the highest amount of computational power per buck. I would program the rest in C or C++ because those languages offer metal level access to the computing engine without the complications and complexity of assembler. bellard@home? Modify the source of that software to work with a seti@home plug-in.